Amy Metz is at again. 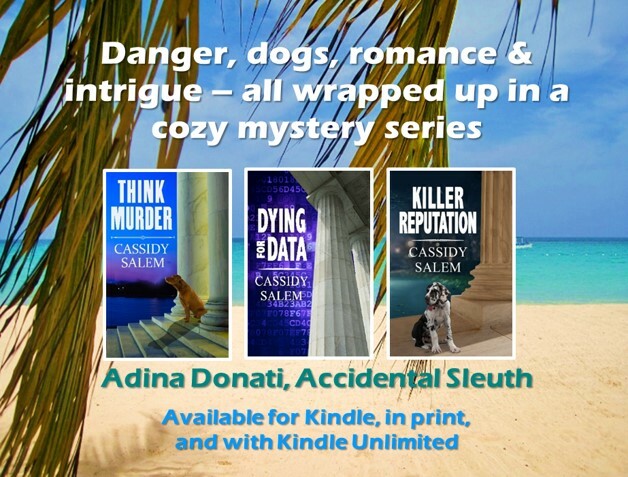 She has just released another book – Rogues & Rascals in Goose Pimple Junction – the third book in her Goose Pimple Junction Mysteries series. Amy is visiting my blog today to tell us about her release and answer my questions about her experiences as a cozy mystery writer. What’s your favorite thing about the writing process? After the first draft is done, I like to go back and add the layers. More dialogue, more description . . . if a draft is the bones of a story, I love adding the clothing. Real life. I went through a divorce last year, and my ex-husband’s attorney was so horrible I wanted to kill her. Since I didn’t want to go to jail, I put her in a book. What books do you currently have published? Murder & Mayhem in Goose Pimple Junction is book 1 in the series. Book 2 is Heroes & Hooligans in Goose Pimple Junction. Short & Tall Tales in Goose Pimple Junction is book 3 (but falls chronologically between books 1 and 2). And Rogues & Rascals in Goose Pimple Junction is book 4. Is writing your dream job? Yes, at the moment, it is. My first dream job was being a mom. Now that my boys are grown, writing is my dream job. The only other job I’d love to have would be to have someone pay me to travel and take pictures of the places I visit. That would be awesome. What five things would you never want to live without? Trees, flowers, sweet tea, makeup, and my computer. What’s the biggest lie you ever told? That would probably be when I was trying to convince my mother—who had dementia at the time—that she needed to move to an assisted living facility. I told her she was just going there for rehab when in fact it was for good. I love, love, love the Stockbridge, Massachusetts library. Besides the beauty of the building (it was built in 1864), it has a wonderful room upstairs that is usually vacant. You can go up there and work or read among all those books and all that history. Beauty, solitude, and books. What could be better? Probably Elizabeth Bennet in Pride & Prejudice. She’s so smart and quick-witted, and in the end she gets a man who loves her madly. What is the wallpaper on your computer’s desktop? It’s Calvin & Hobbs making faces. It reminds me not to be too serious about things. What’s your favorite treat for movie night? Junior Mints or chocolate covered raisins. Popcorn is always a good choice too. Do you give your characters any of your bad traits? Of course! Tess is a klutz like I am. I’m sure there are other subconscious ones as well. How did you get the amazing cover art for this book? I was trolling through the Internet, just looking for something that jumped out at me. I can’t remember the search word I used, but as soon as I saw “Emerico” Imre Tóth’s “Bowler Hat on a Rainy Day” painting, I fell in love and I knew it was the cover for my fourth book. I contacted him, and he was kind enough to sell me the rights to use it. Thank you so much for your hospitality, Cassidy! Great series! This one is on my TBR list!